Firstly, sorry about the lateness of this. I was going to do it on Saturday but life had to take priority. Secondly, forgive the hashtag in the title. I am experimenting with Twitter still. Word count for last week was 2,319 words. I was intending to rewrite the first chapter of my novella that I wrote a while ago but in the end though, all those words ended up coming out of my Camp story and an idea that was demanding to be written. The idea that wouldn’t leave me alone, which contributed to the word count too, is just a mission for my magical spy character from my August 2012 Camp NaNoWriMo novel and her best friend who I think might become something more to her after all. It’s a little thing that could come to nothing but at least it is out of my system and may allow me to learn more about the characters. It is set in the same world as my novella so may actually be why my brain has offered up the idea, to reintroduce me to the world since the spy character is the original character that spawned the whole idea That cannot be a bad thing, surely? The Camp story is hitting a stride again after the train journey. When my FMC gets among more students, it might help. The fact that there is still more exposition should add words rapidly as well as giving me elements to play with for later in the story. I’m wondering though when to have my FMC’s big secret come out? I know how she gets back into the good books with her classmates but that I feel is contingent on the secret reveal. How long can her secret be hidden realistically within a closed school environment? I know how rapid a secret can get out and around a classroom from experience but keeping secrets, well, that is not exactly territory I know about. Can anyone help? I would be very grateful for any advice offered. All of this is not necessarily bad as I am at least writing but at the same time, it gets me no closer to getting my novella to the stage I feel I can be sending it out. It’s annoying and yet fun which makes this a sort-of problem but not entirely. Does that make sense? I suppose not. So what are my intentions at least for this week? One of them is to try and finished the idea story that has plagued me, with the aim of just getting it out of my system as stated above. My other aim is to keep going with my Camp story. I think I also need to make time to sit down and go through the novella MS, mark out the story as is then look to previous drafts to see what I need to put back in perhaps before looking to see how the new opening would affect everything else that happens. So those are my intentions for this week. I will just have to see how many actually come to fruition. I am still reading the latest Alex Verus book, Veiled, by Benedict Jacka and I have read the latest issue in Ben Aaronovitch’s Rivers of London comic, Body Work. Both of which are big influences on the original idea for the novella and I know they influence all of my work in some form so it may help to keep me writing. Sorry, meant to post this last night. Only 189 words written this week due to life being really busy so I’ve not really been able to do much. Majority of those words were written whilst editing a novella I wrote some time ago. I think I might have hit on how to sort out an issue I’ve had with it but whether it will work or not, I don’t know. Hopefully, I will have a chance to edit and implement the new idea to see if it will work. I’ve also added a few sentences onto my NaNo from last month but I’ve hit a slight wall again with how to go ahead with the train journey. I’m sure I will come up with something in among things, especially as I am reading the latest Benedict Jacka which influenced the novella in the first place and may help with my NaNo. My time to write is going to be restricted again this week however because of life. How tired I am and what errands I end up running when I do have free time will definitely impact but I’m trying to push on. Here’s hoping things will improve. Benedict Jacka has posted the first chapter of the next Alex Verus book, Hidden. I have already read it and it reveals an awful lot as it sets up the book. Have a read of it at his website by clicking the link: http://benedictjacka.co.uk/extracts/hidden-chapter-1/. Hidden is due out in the UK on September 2nd, 2014. P.S. : Apologies if the picture doesn’t load properly. Click on it and it should work. Just a quick post to say that Benedict Jacka has announced on his website that the UK release of the audio book of Fated (the first in the Alex Verus series) will be coming out on September 2nd 2014, the same day as book 5, Hidden! If and when the other books in the series will be released as audio books is currently unknown due to issues you can read about by heading over to his website but if you want a preview of how the book will sound, got to Hachette Audio UK’s Soundcloud page. Okay, so this was revealed on Benedict Jacka’s website a while ago but I only found it today. Hidden is book five in the Alex Verus series and is slated for a September release. The release date of the last Skulduggery Pleasant book has been revealed! Derek Landy has revealed on his blog (found here) that the next book will be released on the 28th August 2014 and it is roughly coming in at 100,000 words now, just a bit shorter than Kingdom of the Wicked. He has also said in the same blog post that he will be posting the cover art for a Skulduggery short story collection, called Armageddon-Outta-Here, later this week. Next week, the full wraparound cover will be released and the week after that, the title of the ninth and final book will be revealed! 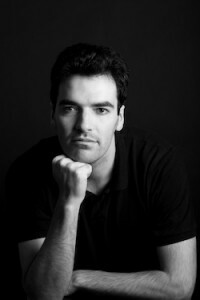 Benedict Jacka has also been talking about the next two Alex Verus books on his blog. Hidden, book five, is on schedule to be ready for a release around September time this year. Book six, currently being written by Jacka, is said to be quite different from the earlier books and he is unclear what the ending will be. After the ending of the earlier book and from what Jacka is saying, I am willing to bet the next two books are going to be game changers and that Verus’s world is going to be turned completely on its head. So what do you guys think? Are you looking forward to the next Landy and Jacka book? What do you think is going to be happen? Be mindful of spoilers please! Are witches becoming popular again? Okay, this is probably going to be at odds with other articles you will see around the web but a couple of days ago, I came across a Guardian article talking about witchcraft and witches returning to popular culture in the wake of the Vampires and Werewolves trend. You can read it for yourself here. The article mentions that various US television networks are starting to show different shows with witch protagonists, suggesting that this is the place that the trend is showing the strongest. 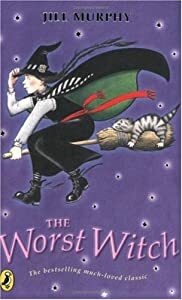 The only thing I took from it originally (it was late at night when I first read it) was the fact that Jill Murphy had published a new Worst Witch book. Not really surprising since she has released new books in the series recently however I did not recognise any of the other books or authors mentioned. Today, I went to my local Waterstones and as I was browsing and picking up a book (or four! ), I found myself unconsciously looking for books about witches. The result? I saw nothing to vindicate The Guardian’s article. I realise it is probably a trend that is just starting to find its feet but if there is a rising interest in books and other media about witches, why can’t I seem to see or find media about witches? Even in HMV, when looking, I couldn’t find anything about witches, not even on the shelves they had set aside for Halloween. This evening, I returned to the article in question and re-read it. The result was the same. I decided to do some digging and had a look at the Waterstones and WH Smith websites in their best sellers generic listings and the best sellers for fantasy. Nothing. So it has got me thinking about whether witches are becoming popular again or if, actually, witches (and wizards) had always been popular in their own way and had never really gone away? I feel it is a valid question to ask. A very brief survey of some of my friends from NaNoWriMo (just over 24 hours away!) revealed that they thought that has been a small rise in popularity but it could easily be an offshoot to the vampires craze. Also, confirming what I suspected, was the fact that paranormal creatures and beings had never really gone out of style. It’s just that the focus of attention shifts. The article mentions Charmed from the late 1990’s and that got me thinking about the fact that Harry Potter and the Philosopher’s Stone was released in 1997, during the same time period. 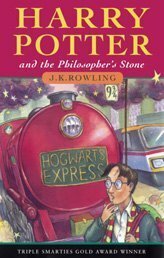 The Harry Potter series has gone from strength to strength and continued being popular long after the end of witches popularity. The series has been so popular it has spawned spin-off books, a film series, a theme park and many other types of merchandise and not least of all, the recent news of JK Rowling wanting to return to the world of Potter and start writing a new spin-off series. In the adults market, Ben Aaronovitch has gained success with his Peter Grant novels, featuring a London police officer and the country’s only remaining wizard. As well as them, there has also been Benedict Jacka’s Alex Verus novels. These are just two series that I read that feature wizards and witches (though in Jacka’s books, they are known as mages). Then there are the popular Dresden Files books by Jim Butcher, the only wizard in the phone book. These books are on my to read list and Butcher has recently released a new book in the series. So books about witches and wizards have always been popular, bubbling away beneath the hubbub of the vampire’s (and werewolves) craze. They sell and create series. Jacka has talked about this in his most recent blog post. He is talking about urban fantasy books in general but his comments are correct: “For every Sookie Stackhouse or Dresden Files, there are twenty or thirty urban fantasy series that fizzle out” (Jacka, Benedict. (2013). Alex Verus: The Future (Continued). [Online]. Available at http://benedictjacka.co.uk/2013/10/25/alex-verus-the-future-continued/). So maybe witches are not becoming popular again as suggested in the Guardian article but instead the spotlight and attention is being shifted to a new type of character within the fantasy genre. Whilst talking with my friends about this, I had the thought that perhaps that maybe the reason I had not seen much in the way of different media having prominent witch characters is that perhaps we are just on the cusp of a new craze. I put this theory to them and they agreed that perhaps, that is the case. I think that is my theory then. We are on the cusp of a new craze, a craze that is just starting to spread its wings. The interest in these types of books and stories have always been there but it’s now going to experience a new resurgence and people are just beginning to notice. Or perhaps, it’s just something that is going to fizzle out to nothing.